There's no doubt that many gardens are at their peak in spring, thanks to the multitude of flowering shrubs and bulbs that do so well in our temperate climate. Summer brings colour from masses of annuals and autumn sees some of the best perennials in bloom before we shut up shop for winter. But winter brings its own rewards – shrubs whose tiny flowers pack powerful perfume, berries that light up the garden, variegated and golden evergreens, or bark that glows on dull days. Don’t be too eager to clear flower beds. 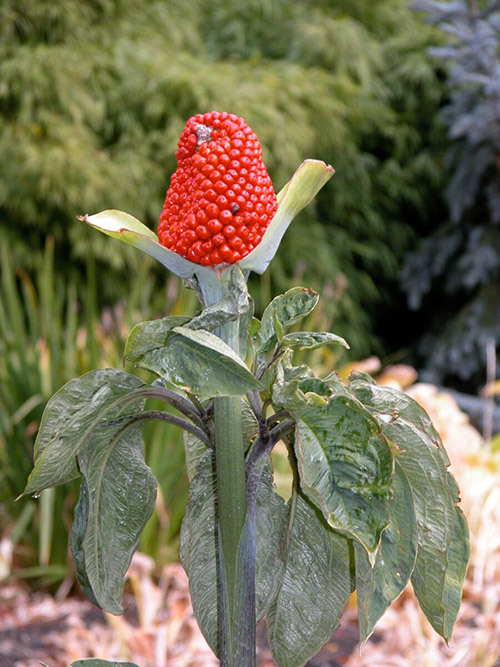 Some plants, like cobra lilies (Arisaema tortuosum) will continue to perform by holding a “torch” of berries long after the flowers have gone, while the seedheads of sedum retain some colour into winter and many grasses take on an elegant aspect when dusted with snow or frost. Globe artichokes and cardoons are high-rise perennial vegetables. Plant them in the back of a flower bed where their 2m dry flower stalks can be left until spring. Leave sunflowers, too, so birds can eat the seeds – and any that spill from busy beaks will germinate in spring. A couple to treat with caution are fennel and bear’s breeches (Acanthus mollis), as both spread seed far and wide and the latter inhibits native plant growth. 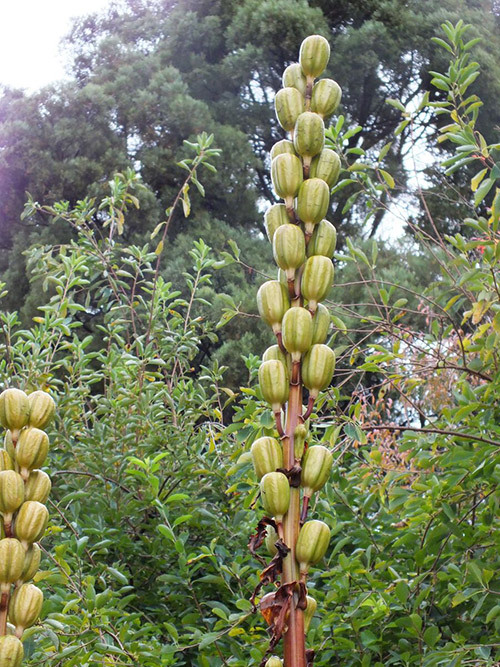 Statuesque seedheads of Cardiocrinum giganteum. In a shady spot, it is impossible to ignore Cardiocrinum giganteum. The bulbs of the giant Himalayan lily die after the scented white flowers are spent but the 2m stems of fat seed pods remain and – if you can bear to pick them – are great for flower arrangements. Small offsets around the dead bulb will grow to flowering size in a couple of years but seed-sown bulbs may take seven years to flower. There are other ways of ensuring interest in the winter garden. Deciduous trees usually drop their leaves when the weather cools but an exception is the copper beech (Fagus sylvatica var. pupurea) which clings to its foliage through the winter. Although very attractive, it is suitable only for large gardens, as its eventual height can be 35m. Grown in sun, golden conifers come into their own in winter. Smaller ones include Chamaecyparis obtusa‘Confucius’ at 1.6m, Cupressus torulosa ‘Dorlin’ (2.5m), Juniperus communis ‘Gold Cone’ (1.5m), Juniperus x media ‘Sulphur Spray’ (2m), Thuja orientalis ‘Golden Ball’ and ‘Aurea Nana’ (1m) and Thuja occidentalis ‘Wareana Lutescens’ (1.5m). Cupressus sempervirens ‘Swane’s Gold’ will grow 8m but narrow enough (about 1m wide) to add height to a small garden, while for a native touch, try the lovely mini rimu Dacrydium cupressinum ‘Charisma’ (2.5m), or golden totara (Podocarpus totara ‘Aureus’) which can be used as a hedge or topiary specimen. Purple is a trickier winter colour, but because it is lightened with cream, native Pseudowintera colorata‘ Red Leopard’ is a choice shrub. Alternatively, cream and green Griselinia littoralis ‘Dairy Cream’ and ‘Dixon’s Cream’ are two of the lightest, brightest broadleafs. Many dogwoods are small trees but two shrub-sized varieties are tops for winter. They are Cornus alba and C. sericea (syn. 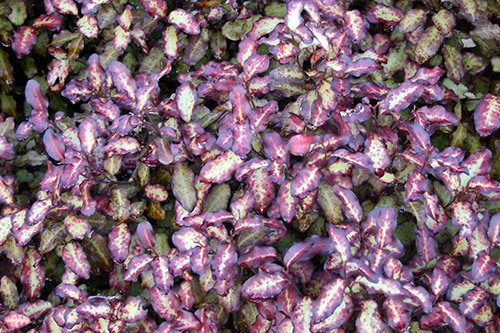 C. stolonifera), grown mainly for their vivid winter stem colour. C. alba ‘Sibirica’ grows to 2m, has white flowers in summer, good autumn foliage colour then bright red stems in winter. C. sericea ‘Flaviramea’ has yellow stems. It, too, has white flowers and attractive leaves in autumn. Grown side by side, they look splendid. There is just one drawback: both these dogwoods are suckering species. If privacy is an issue, try a screen of thorny Berberis thunbergii ‘Helmond Pillar’, which still looks good when its leaves have fallen. Winter berries are mainly the province of shrubs like Skimmia japonica and Berberis but the rowans (Sorbus) and variegated holly are hardy small trees that hold their fruit until the birds have exhausted other food sources. Look around and you’ll be surprised at the attractions of a winter garden.